Jojo, Bess's stepdaughter, has a point to make. Bess is not her mother, and she won't replace the one she's been missing every day for the last two years. And will she ever get the chance to become a mum herself? Cousin Cari is a fierce career-woman who isn't unnerved by anything - apart from facing the man who left her at the altar, and he's on the guestlist. Her job has been a safe place to hide ever since - but is it time to let love into her life again? Thanks to laughter, tears and one surprise appearance, the Brannigans might just discover the secrets of a happy marriage . . . But will they find out before it's too late? 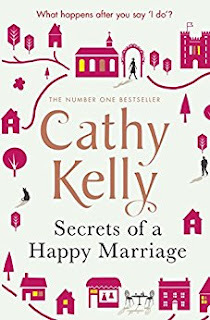 I have only recently been introduced to Cathy Kelly's books and, although they deal with some difficult subjects, they are so heart-warming and never fail to draw me into the story. It's a chunky book at just over 500 pages which resulted in my being completely invested in the Brannigan family story; I experienced laughter, anger, sadness and joy in this warm and engrossing family saga. The common theme for me is the strong women characters. Cari is the strongest of all after being left at the altar 3 years earlier. Cari never wants to see Barney again but that could prove a bit difficult as he jilted her for her second cousin, Traci. 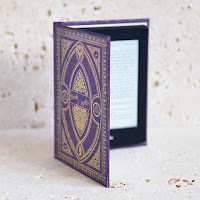 Cari is an editor and through her story we get a wonderful glimpse into the publishing world; there's even a lovely mention about the voluntary work that bloggers do to promote books. Cari's cousin, Jojo, will never accept her father's second wife after losing her mother, Lottie, so tragically 2 years ago. Jojo has her own demons to deal with as she starts down the rocky tear-filled path of IVF. Bess is Jojo's new step-mother. She loves Jojo's Dad, Edward, but struggles with the animosity that Jojo directs towards her. Bess is planning a 70th birthday party for Edward and as all the Brannigan women come together there are sure to be fireworks and tears. Please do not be put off by the size of this book; I could easily have read another 500 pages about the Brannigan family. I loved the quotes at the start of each chapter; some are tips for a happy marriage and others are thought-provoking, inspirational words of wisdom from, for example, the Dalai Lama, Oscar Wilde, Henry Kissinger, Galileo and my personal favourite, Gloria Steinem. Secrets of a Happy Marriage is one of those books that reaches into your heart and gives you a virtual hug. It's a curl up on your favourite chair with a hot chocolate/cup of tea/glass of wine kind of book. Before you know it you will have whizzed through it and be left with the feeling that you were part of the Brannigan family yourself. 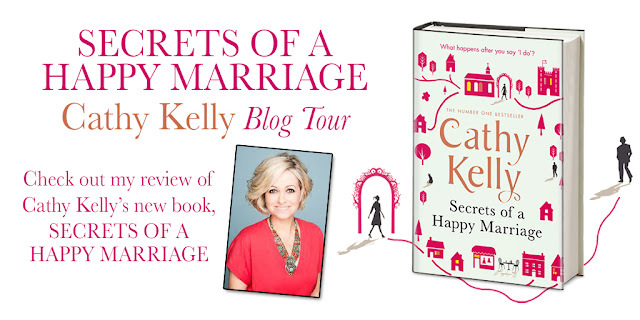 Filled with love, laughter, tears and hope - it's a completely captivating read.